Sherry is an enrolled member of the Fort Peck Assiniboine & Sioux Tribes. She grew up in Wolf Point, MT and graduated from Wolf Point High School. Sherry moved to Rapid City in 2013 with her husband whom retired from the Air Force as MSG and they settled here. 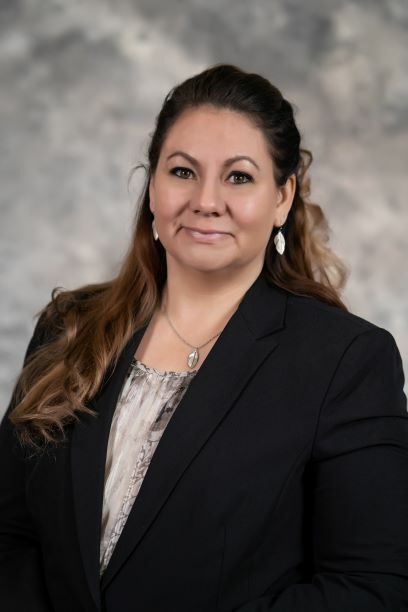 She received her bachelor’s degree in Organizational Communications from Montana State University Billings, MT and an AAS in Computer System Technology (Cisco). Sherry previously worked as a Field Sales Manager for Samsung. She started with GPTCHB in January of 2019 as the Student Coach/Case Manager for the Pathways to Healthcare Professions (PHP) program. Sherry is a proud mother. She enjoys photography, sewing, building things from scratch, spending quality time with her family and friends, and ancestry research.